There is only one purpose for seeking to have your sins forgiven, and that one purpose is so that you can receive the promise from God, of spending eternity in heaven, and avoid spending eternity in hell. If you don’t believe in heaven and hell, then there is no reason to seek to have your sins forgiven. As a matter of fact, a person who doesn’t believe in heaven and hell, probably doesn’t believe that there is such a thing as sin. The sacrifice of Jesus is that gift. Jesus paid the “price” for our sins. (“For you have been bought with a price, therefore glorify God in your body” 1 Corinthians 6:20) But just because Jesus has paid the “price”, that doesn’t mean that everyone is forgiven of their sins. The price has been paid, and the gift has been offered, but there are things we must do, in order to “receive” the gift. Jesus tells us several things which we must do, in order to receive the forgiveness of our sins, and to receive the promise of eternal life. Jesus said in John 8:24; “For unless you believe that I am He (the Christ) you will die in your sins.” That’s the first thing we must do, believe that Jesus is the Christ, and that He has paid the price for our sins, and that He can save us from our sins. Here’s the next thing we must do; Jesus said in Mathew 10:32-33; “Everyone therefore who confesses Me before men, I will also confess him before My Father who is in heaven. But whoever shall deny Me before men, I will also deny him before My Father who is in heaven.” So then we must be willing to confess openly, our faith in Jesus, or He will deny us, and we will have rejected the gift of salvation. The definition of “repent”, is.. “to turn again”. We have already turned away from God and have sinned. 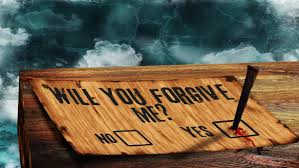 (Remember Romans 3:23: “For all have sinned..”) And now, if we want to be forgiven of our sins, we must “turn again”. This time we’re turning back to God, and away from sin. We need to make up our minds that we’re not going to keep sinning. If we just go right back and sin again, then we really haven’t repented in the first place. This is such an important part of becoming a Christian. We truly need to make the decision that we are NOT going to keep sinning, like we use to do. We’ve got to change our life. We’ve got to change our habits. We’ve got to follow the bible, because the bible is God’s word for us. It’s God’s instructions for us, telling us how to live. It tells us what’s moral, and what’s immoral. It tells us to be humble, not proud. It tells us to put other people before ourselves. It tells us to forgive others, or forfeit our own forgiveness. May God bless you in your journey to eternity.